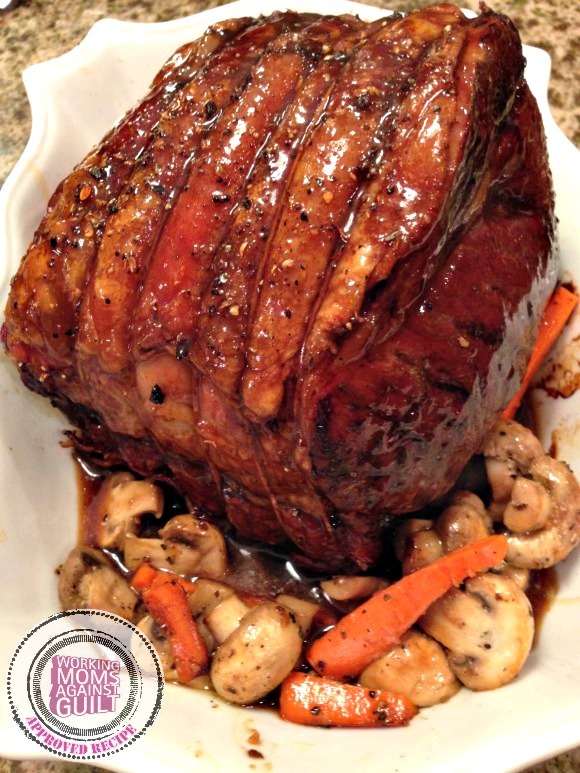 Working moms can make this mouthwatering Slow Cooker Pot Roast Recipe in minutes and still provide a tasty, hearty meal that smells amazing when you walk in the door after a long day’s work. Season the roast with salt and pepper to taste. Brown on all sides in a large skillet over high heat, approximately 4 minutes per side. Place the roast in a slow cooker and add the soup mix, water, carrots, onion, potatoes and celery. Cover and cook on the low setting for 8-10 hours. Recipe courtesy of Pam Beattie, who crafts timeless pieces that unite a blend of shabby chic, French, boho, eco-friendly and refined glamour in her hand-crafted, family heirloom preservation company, Venetian Décor. Looks great – I see mushrooms in the photo – when do you add those? Thanks! Mushrooms can go in with the carrots. If you like ’em. What kind of potatoes did you use?